Welcome to the trendiest neighborhood in Barcelona – Poblenou! Yes, the trendiest one. Poblenou is a fairytale story for most of the people. Living in Poblenou is amazing, for everyone who has been there: from the seaside, the young and active business culture, to the artist atmosphere that you can feel in every corner. 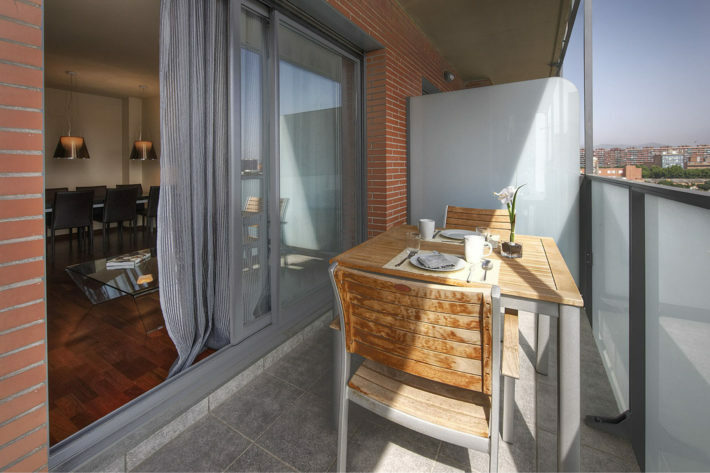 If you do not have a chance to live your life in Poblenou, spending your holiday in an apartment here to explore the neighborhood is fair enough. 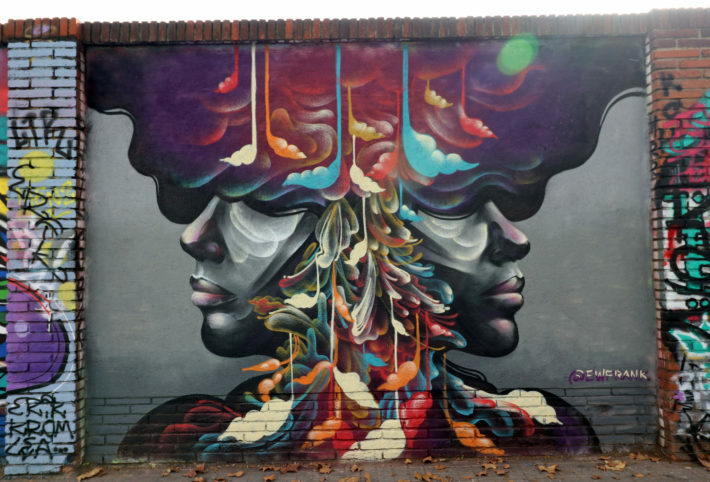 Poblenou has gone through up and down to be as innovative and artist as today. In the 1940s, the district experienced an imposing increase of factories and textile mills. Being called as the “Manchester of Catalonia”, the district is the industrial center of the area. Unfortunately, later on, the district has gone through a harsh decay. Many factories and warehouse are abandoned. With the Barcelona Olympic 1992 and effort form projects such as 22@, the district had been turned into a new page of the story with the increase in job creation, creativity and become an innovative modern urban. Called Innovation district, Poblenou is the cradle for promising possibilities and artist revolution in future. 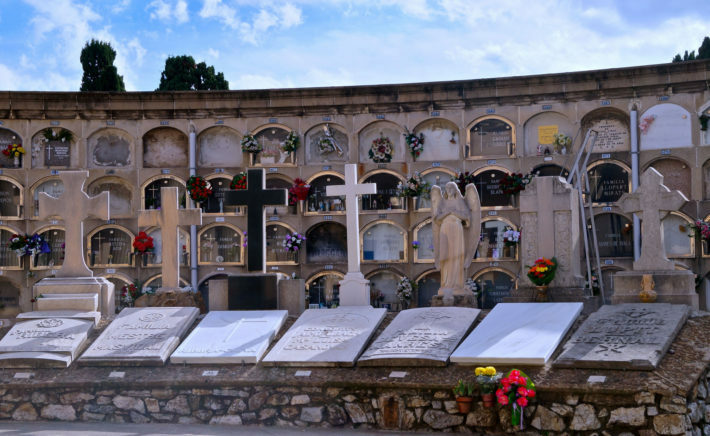 It is quite surprising for most of the travelers about the existence of a fascinating cemetery in this neighborhood. Here is the resting place of the most illustrious citizens in town in the past. The modernist and neo-classical style is permeated undoubtedly even in the tombs. Holding the history of more than four century and have been renovated several times, the oldest cemetery of Barcelona still has a mysterious attraction as an adventure for visitors. It is easy to access the beaches from the district. In fact, the most favorite ones could be found in Barcelona are Bogatell and nudist beach Mar Bella (which means the Beautiful Sea in Spanish). Mar Bella is a naturist beach. If you would like for sunbath, the weather is warm enough since the middle of April. Nevertheless, the seawater is still cold until June. Sailing tour in a small group or renting electric bikes and walking along the seaside are cool ideas to try as well. For those who are interested in art and design, this is an unmissable museum. Permanent and temporary trendy exhibition of space, product, information and fashion design are presented here. Do not miss the David Bowie IS exhibit. More information could be found on the official website. In contrast to a hustle and bustle atmosphere that overwhelms travelers in La Rambla del Gothic. A gentle and the mix of old and new fashion is what you can expect in the commercial streets La Rambla del Poblenou. Take a walk to the street for drinks and tapas. Following alongside the beach, you can easily reach the beaches. Located on Diagonal Avenue, Les Glòries complex is a nearest large shopping center. More than 150 shops, cinema, restaurant and cafes could be found here. If you would like a grocery shopping for your holiday apartment only, stop in Mercadona supermarket on La Rambla, or any local shops nearby. 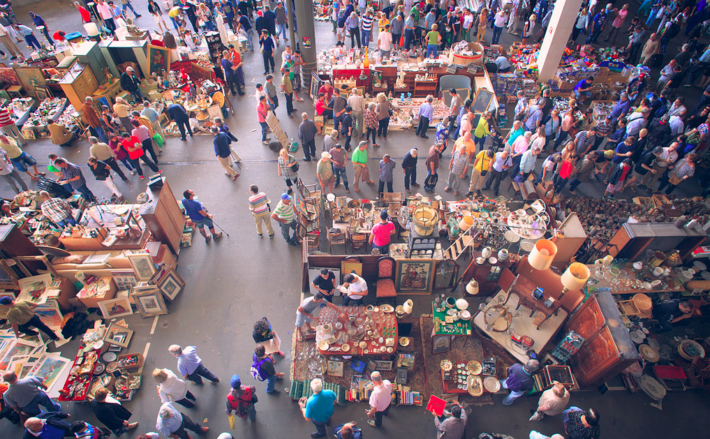 One of the oldest flea markets in Europe is located near Mercat Els Encants. The flea market opens on Monday, Wednesday and Fridays, from 7 am to 3 pm. 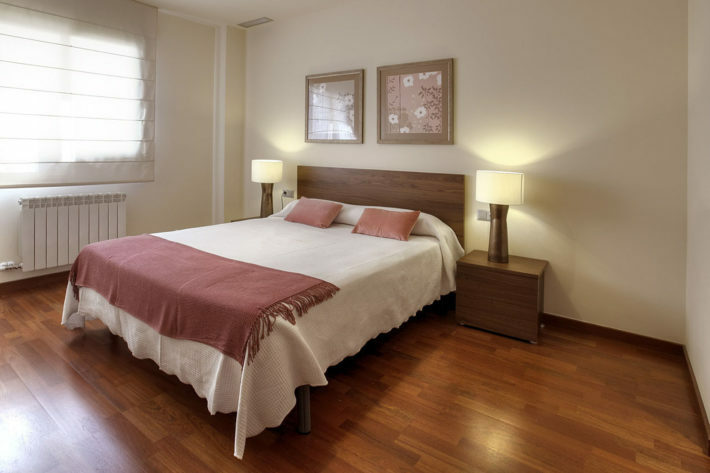 Fluvia apartment is one of our selection in Poblenou district. The apartment has modern features and is tastefully decorated. It offers three comfortable bedrooms, two complete bathrooms, fully equipped kitchen and comfortable living/dining area. It also has a lovely communal swimming pool to relax in. Ideal for families and groups of friends. Poblenou is always a perfect starting point to visit Barcelona. Discover the list of holiday apartments in Poblenou district here.